Spent the day at Casa la Luz yesterday. A dream come true for me. There was only two of us on the tour - and if I ignored the other (not so many people) who were already there, I could transport myself back in time and see the family, hear their voices, feel their energy. All the good and the bad that happened in Casa La Luz - it's all still there - living and breathing. Just have to become very quiet inside and 'feel' it. Truly amazing. I could hear footsteps, voices, laughter and tears. 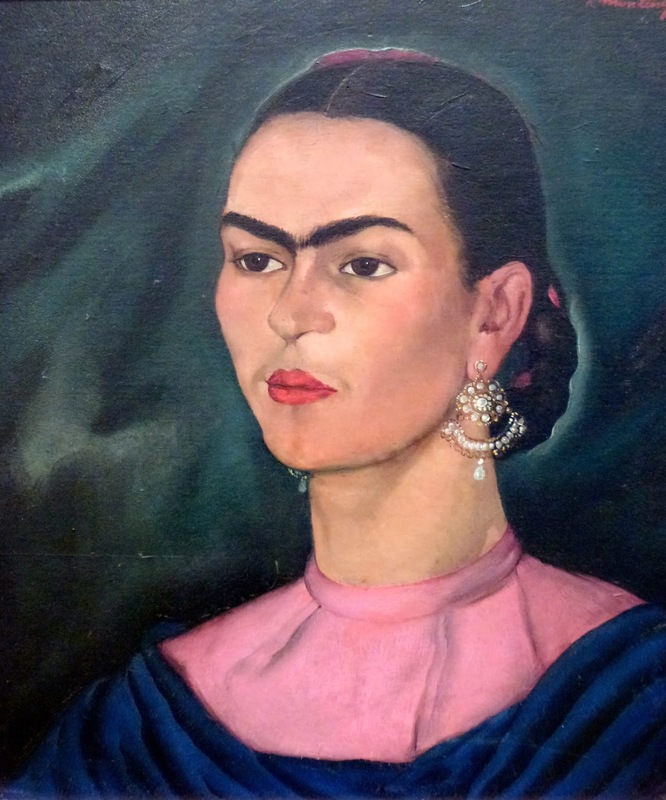 I could feel Frida's pain and the pain of others who loved her dearly. The clothing exhibition was incredible. That woman had STYLE! Fridas'cloths were displayed in a dark room - hung in glass cubes which made photographing impossible - however I will never forget the thrill of it all, the thoughts of she with Diego, friends and family; singing, dancing, moving with apparent ease when she was bound and tied and strangled in these terrible, horrid cages, made of every type of material you could imagine, from cloth, to plaster to metal. How she moved at all, is beyond me. She gave new meaning to the word 'strength' for me. I did pay a small tax so I could take photographs inside the house (such a beautiful home - not a house). I will share some of them with you. 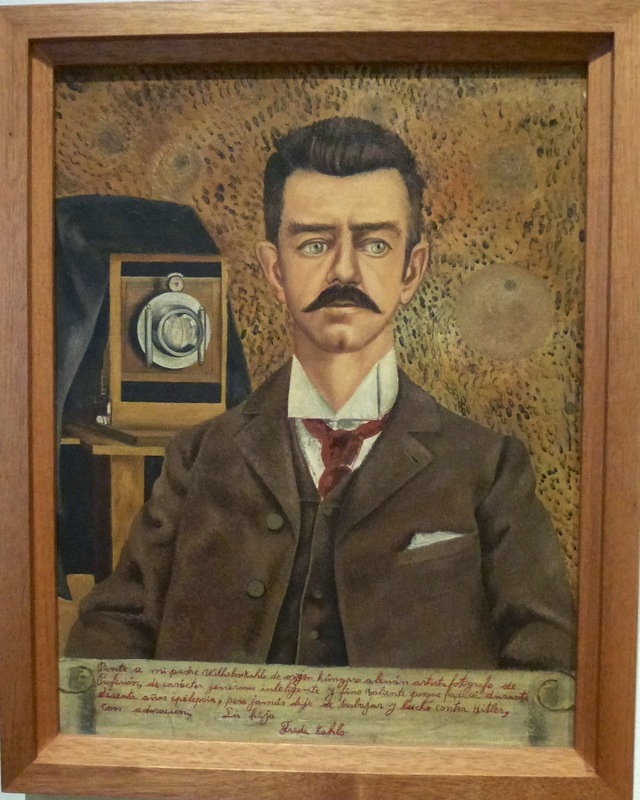 The painting of her beloved father. 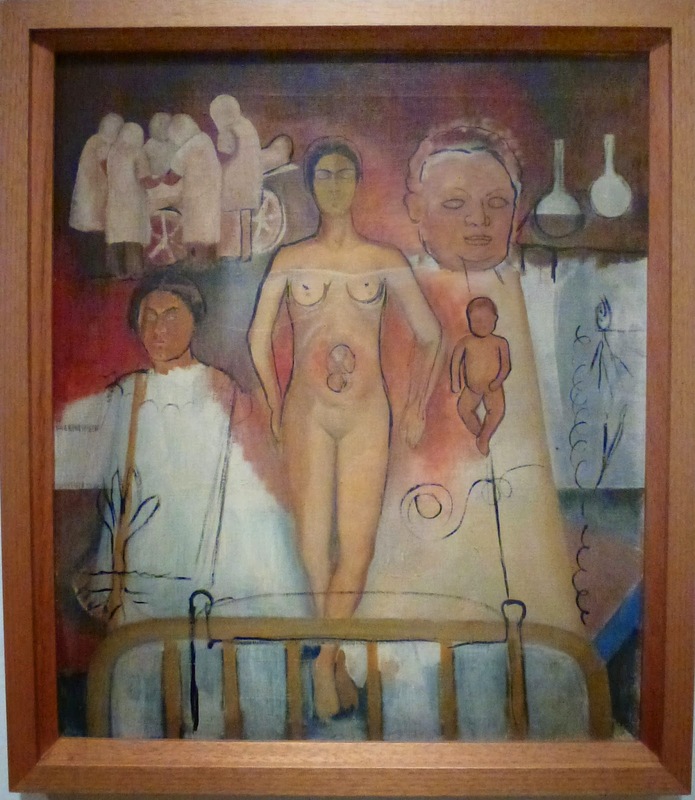 Most of her pain in one painting I think. Certainly the pain of not being able to bear a child. 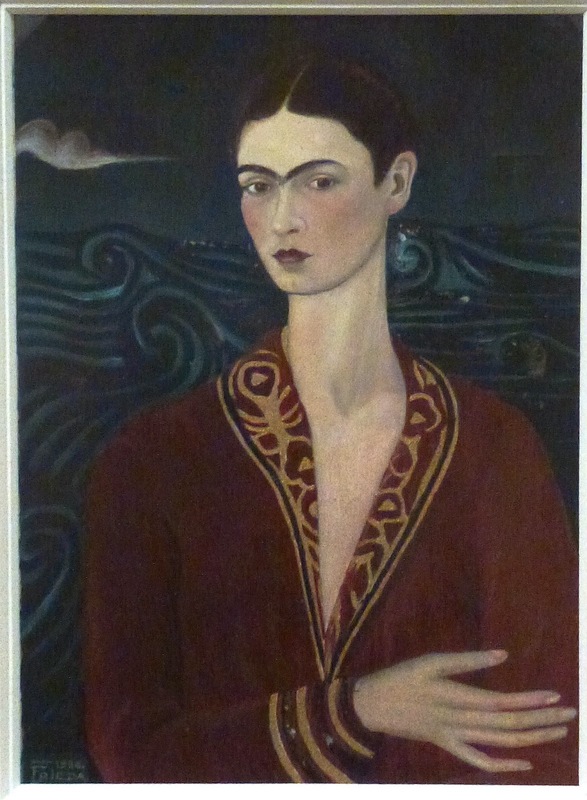 This has always been my very favorite painting Frida did. It has presence, it has grace. it has so much soul. The colours so deep and rich. The brush strokes so fine. 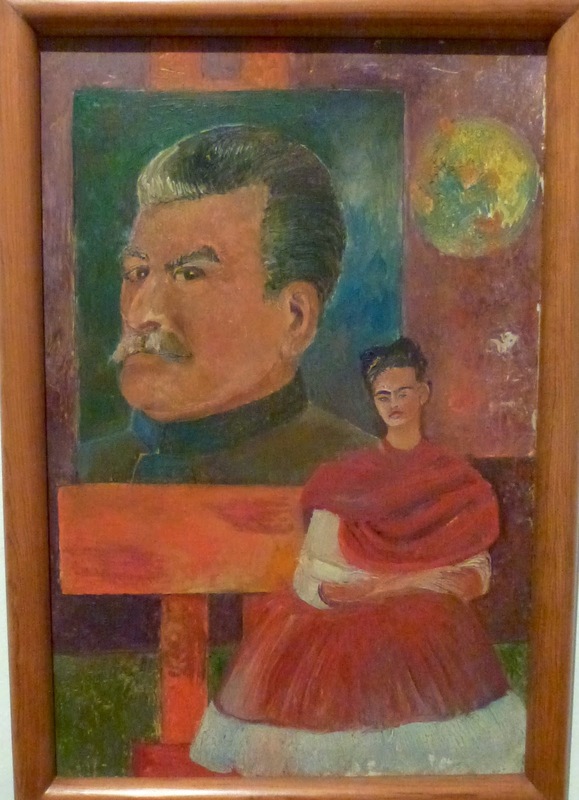 To my surprise it was only 8" X 10"
A painting in which she included Stalin as the main figure. Painted in 1936 by Roberto Montenegro (1887-1968) Earrings to adore. The only piece of her clothing which was not under glass. Can't you just see her in it. Many of the kitchen cooking implements, pots, serving bowls, etc. Fridas' studio took my break away. She was everywhere. I felt tears trickling down my cheeks as I looked at this sacred space, this space where she created, latterly in her wheelchair in front of the easel. The light in this room is perfect for an artist. 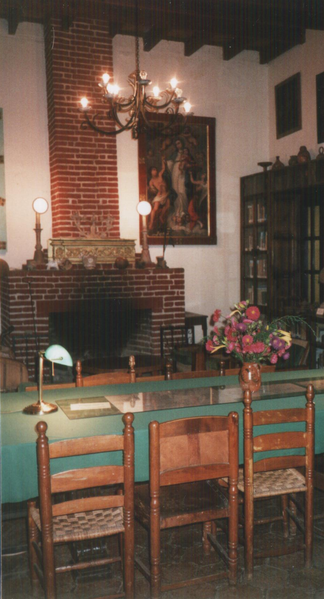 I digress to the dining room - where I'm sure many an interesting conversation took place, considering who she knew and the fact that Trotsky and his wife were harbored there. We did, by the way, see where Trotsky was assassinated which was most interesting. Two of the bedrooms. One in which she dies where her ashes are kept in a precolumbian urn on the dressing table. Back out into the gardens. A beautiful huge piece of property where the family could not possibly feel confined. 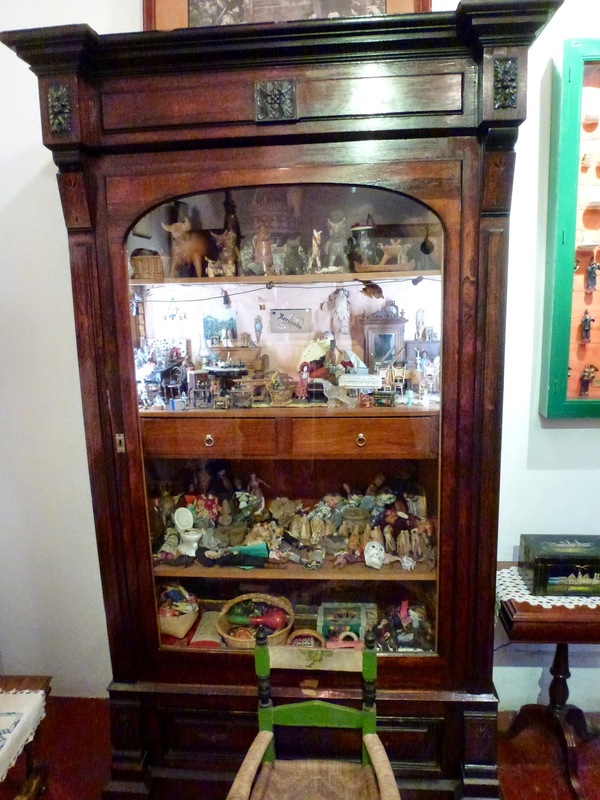 A very small part of her precolumbian sculpture collection. Incredible. Obviously Diego, however it was placed high on the wall and I could read the description. 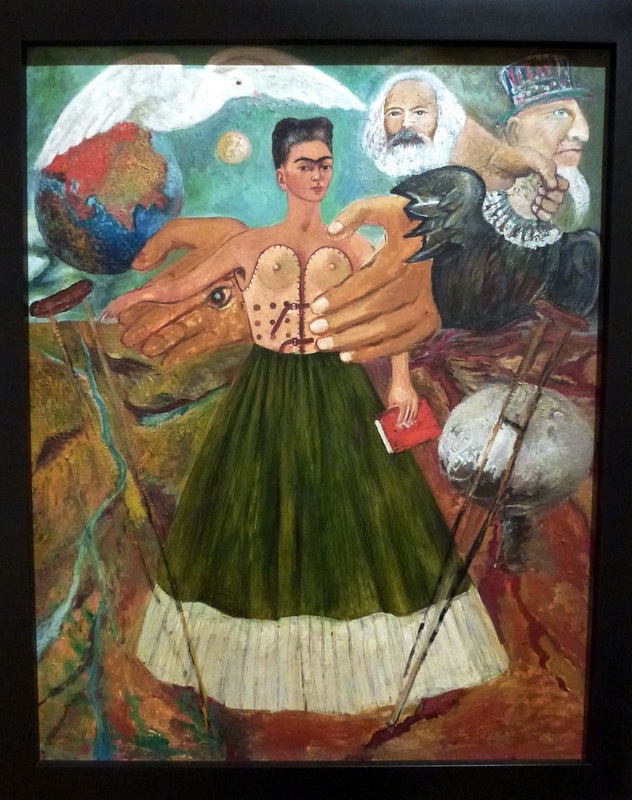 I don't know if it is Fridas' work or not. He looks so very forlorn. Perhaps it was after her death. So that was a 'tiny peek' into out day at The Blue House. I shall never forget it. It will be carried in my heart forever. An experience which shall always be a part of me. Thanks for dropping in. Take care and have some fun along the way. 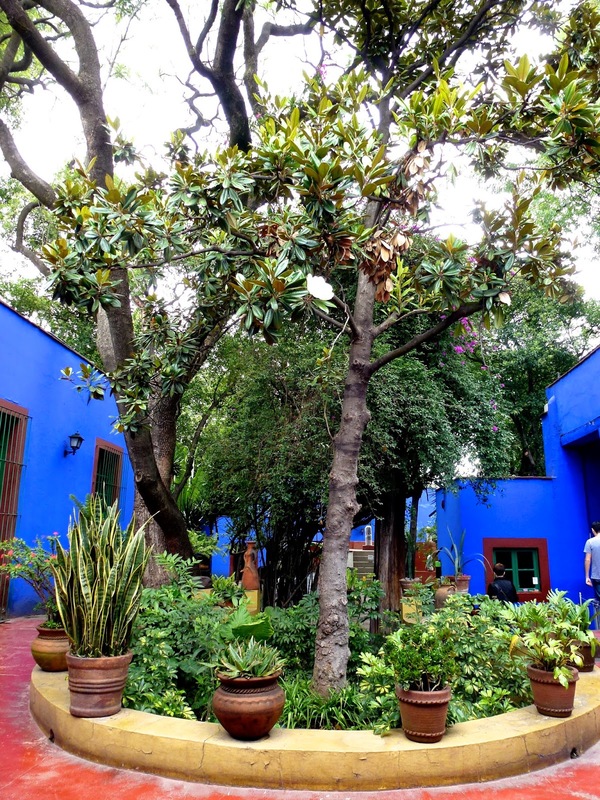 Signing off from Mexico city, glass of wine in hand, wishing you were here. Donna, thank you for sharing this marvelous experience with all of us. I couldn't even imagine visiting her home and viewing the displays so well preserved and cared for. What a thrill for you! Lost in space so I will try again. I found you through Valerie-Jael or I found Valerie-Jael through you. It does not matter because you both or jewels! Loved all these photos and would not have seen them had it not been for you! You indeed have an artist soul -- and I do love following you!! What a special and evocative visit for you! Lovely photos and descriptions. Oh my gosh! 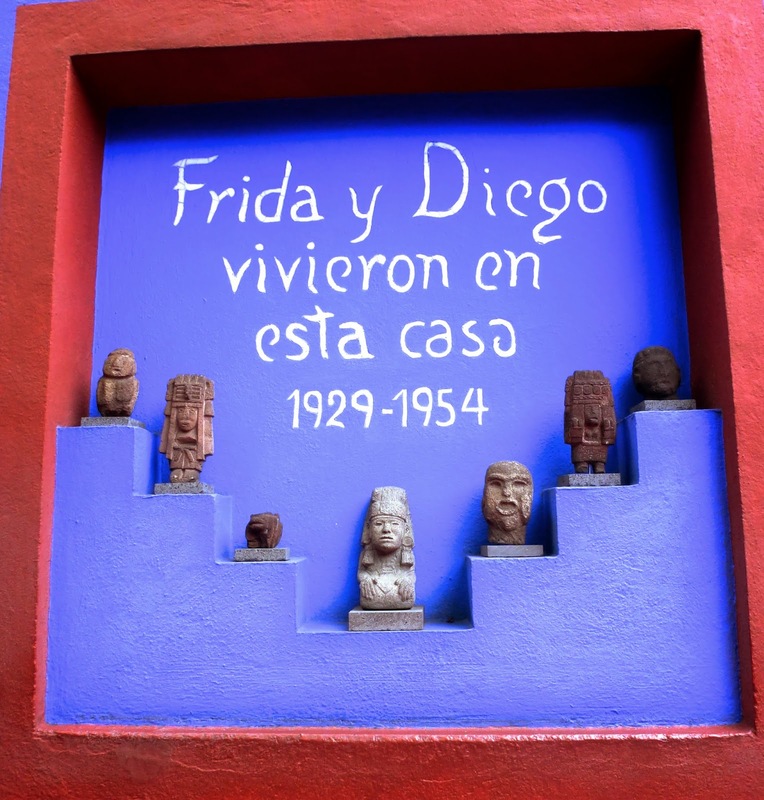 I'd love to visit Frida's house.